As part of my wider reading around S.O.E. 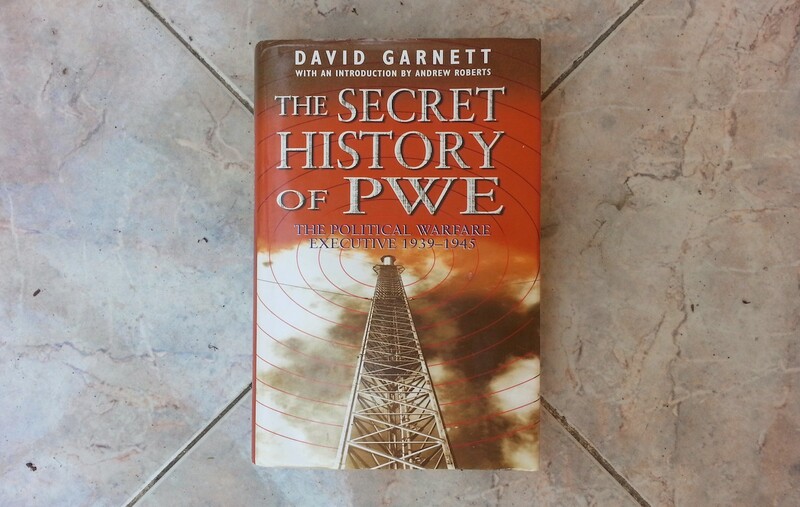 in the Balkans, I ordered a copy of David Garnett‘s The Secret History of PWE (Political Warfare Executive). 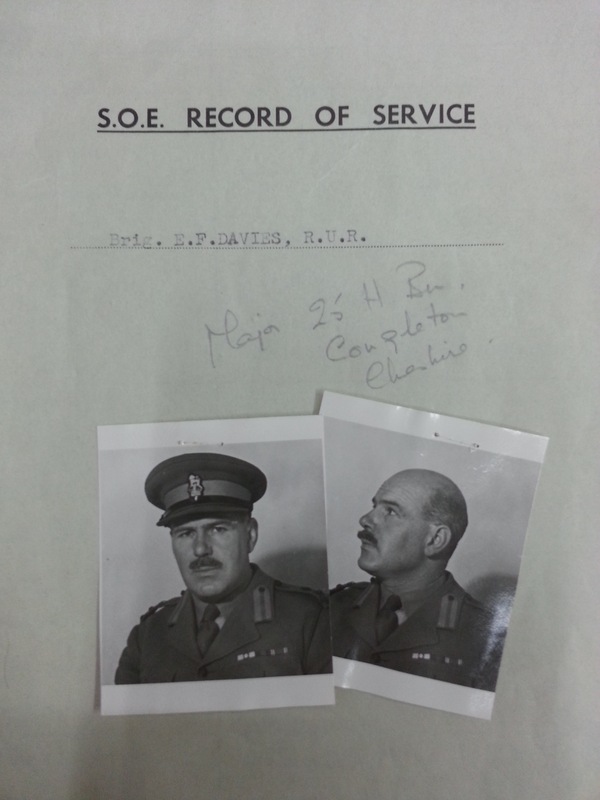 It really was secret, too – Garnett, a PWE officer himself, was commissioned by the Foreign Office after the war to write an official history. What he produced was considered so incendiary that it was classified “Secret – For Official Use Only” for 50 years, and only published at the turn of the last century. The book is strictly for war nuts – much of it details obscure inter-departmental spats. In fact most of it details obscure inter-departmental spats. The wartime British propaganda machine was seemingly so focused on the enemy on the other side of the corridor that it’s a wonder anything anti-German was produced at all. What was produced, it’s worth mentioning, was often very poor quality. 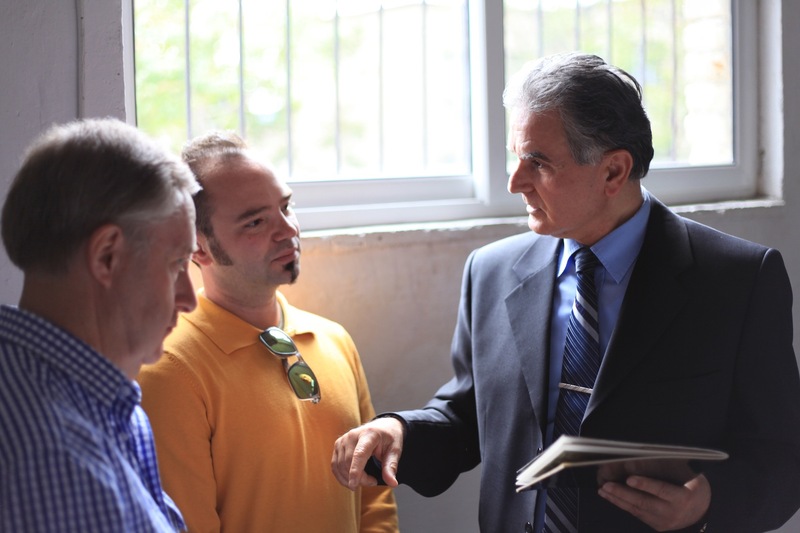 In Albania in particular it was a constant complaint of the S.O.E. officers on the ground that Allied propaganda, both BBC broadcasts and leaflet drops, was inept and clumsy. 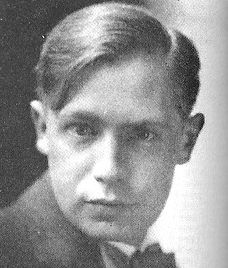 Garnett was known to his friends as “Bunny” and had spent the First World War working on fruit farms with his gay lover (he had been a conscientious objector). He went on to become a prominent member of the Bloomsbury Group, and co-founded the Nonesuch Press. It’s hard to think of a less suitable choice to write a dull, bureaucratic official history. Perhaps the Whitehall mandarin who commissioned him was feeling mischevious. It’s a wonder Britain won the war at all. Oh, hang on – we didn’t. Until the Soviet Union was, ahem, embarrassed into withdrawing its tacit support for Hitler, and the US entered the fray, we looked guaranteed to lose, badly. Random fact: Garnett’s next book, Aspects of Love (1955), wasn’t top secret. In fact it later became an Andrew Lloyd-Webber musical. 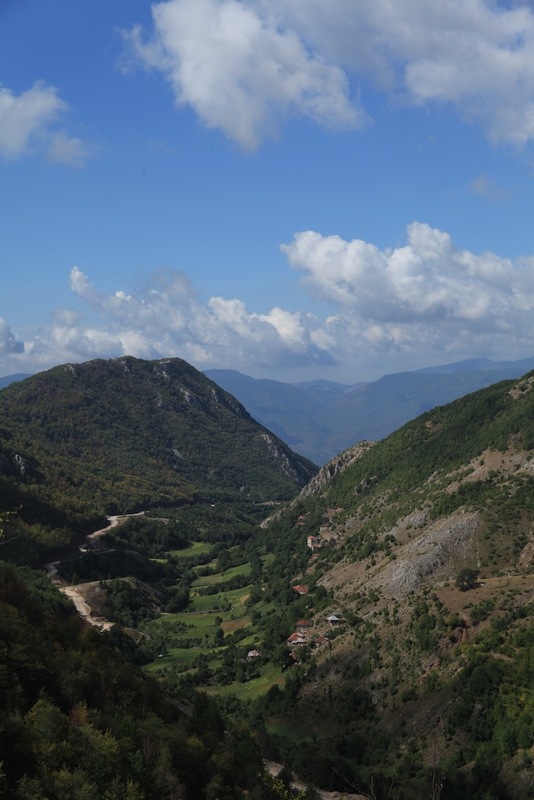 The big push to upload posts from last summer continues… This time we take a short break from trudging around the Çermenika massif and instead head north, to the Mati district of Albania. 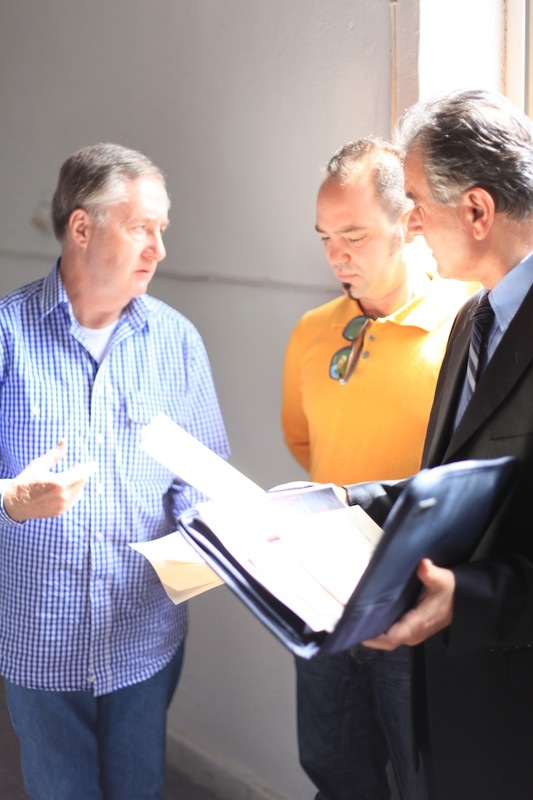 The purpose of our visit was a research trip on behalf of the son of one of the Special Operations Executive officers who served in Albania during World War II, Captain Frank Smyth. 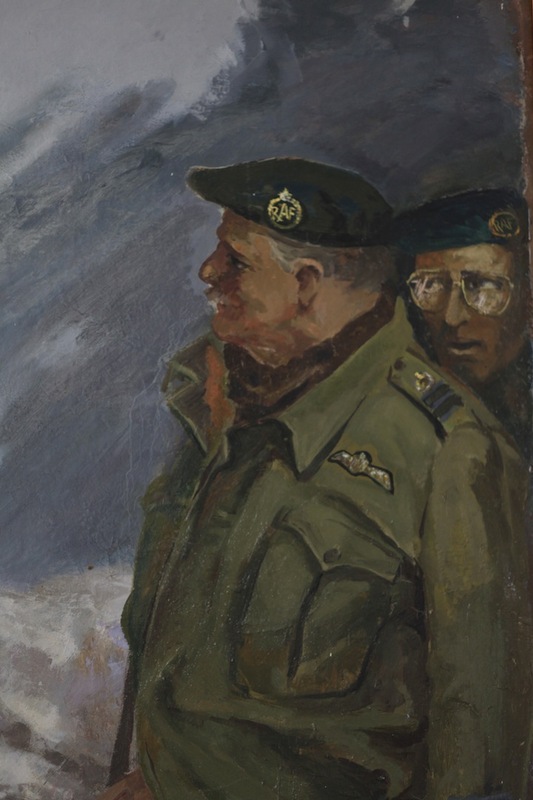 Brigadier ‘Trotsky’ Davies sent Smyth north to work with Squadron Leader Tony Neel, who was liaising with the Zogist forces, such as they were, led by Enver Hoxha’s arch-enemy Abas Kupi. In the confused events following Davies’ capture by the Germans in early January 1944, Smyth found himself in the village of Macukell, being sheltered by a branch of the Kola family. Smyth by then was under the command of a certain Captain Bulman, who does not appear to have covered himself in glory during his stint in Albania (Bulman was despised by his fellow officers and also most Albanians who encountered him). The Kola family later in the year sheltered Lt Col ‘Billy’ McLean and Major David Smiley, and had another house burnt for their efforts. Houses being destroyed does seem to be a bit of a recurring theme for Albanians who hosted British officers during the war. 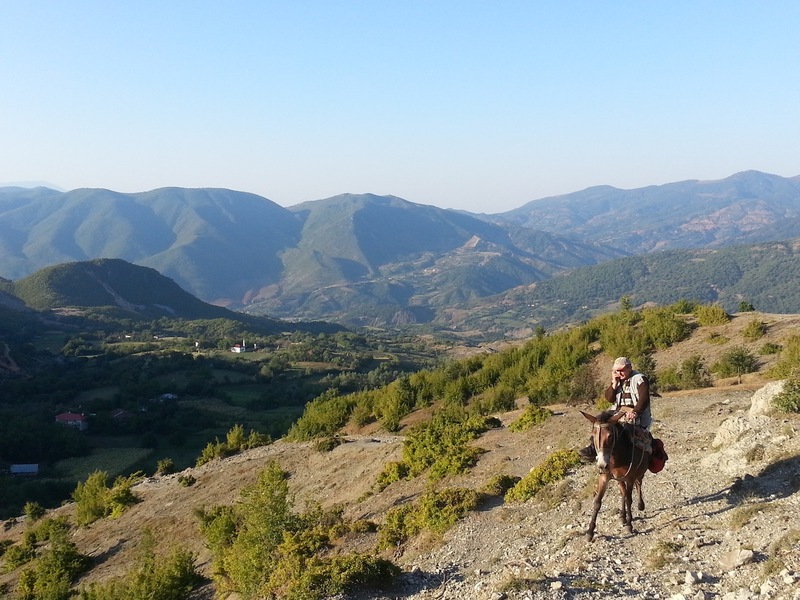 Elton Caushi of Albanian Trip and myself set out for Macukull in late August 2013 with little idea of what to expect. I’d driven through the Mati before in the grey of winter, so was interested to see it in summertime. And very pleasant it was too. The drive to the region’s biggest town, Burrell, took about two-and-a-half hours from Tirana, with the inevitable coffee stop. Burrell is nothing to write home about, its only landmark being a statue of local hero King Zog in the town square. 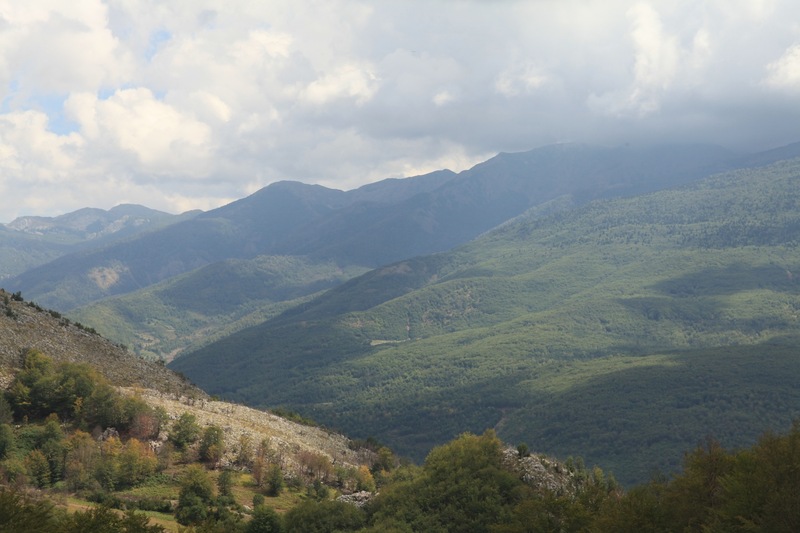 More usefully, all three men knew the Kolas and were familiar with Albania’s convoluted war history, and two of them – Skënder and Kujtim – were at a loose end so were happy to take a day trip to Macukull with us. The drive took us past King Zog’s old family seat, Burgajet Castle. Or where it used to sit, anyway – the Communists had taken particular care to destroy it utterly. I was surprised there wasn’t a six-metre statue of a brave Partisan fighter taking a symbolic dump on the site. Shortly afterwards we left the main road and took a dirt track up into the mountains. Macukull, it turns out, occupies a particularly dramatic piece of real estate, with wonderful views across the Mati. It had clearly been a relatively wealthy village, though its loyalty to King Zog cost it dear during Enver Hoxha’s glorious rule. Skënder and Kujtim guided us ever higher, up to the site of the old Kola house (there would have been several, this was the grandest). Nothing, literally nothing, remains. Kujtim pointed to the school in the far distance – a typically ugly rectangular block. The Kolas hadn’t exactly been flavour of the month with the Communists, so the house had been torn down and its stones used to build the school. A branch of the Kola family still live next door, and were in the process of building what appeared to be a small castle of their own. Rather worryingly for their future health, within six metres of a mobile phone mast. We were invited into their old, much more modest – and charming – house for lunch. Which turned out to be one of the best village lunches Elton and I have had (and we’ve had a fair few now). Macukull’s raki turned out to be excellent too. 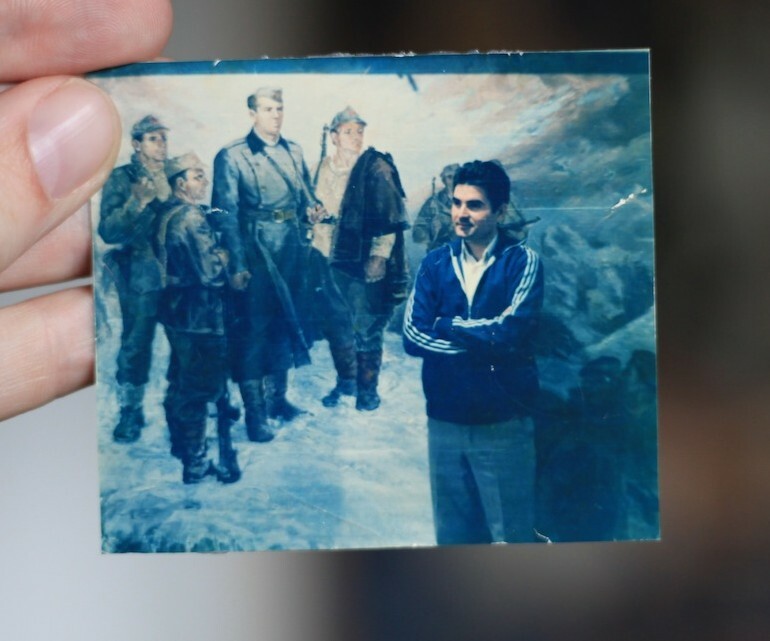 Over lunch we were told of the Kola family’s resistance to the dictatorship, and how Bilal Kola, a friend of David Smiley’s, had been cornered and shot in the early 1950s after holding out in the mountains with a small band of rebels for the best part of a decade. 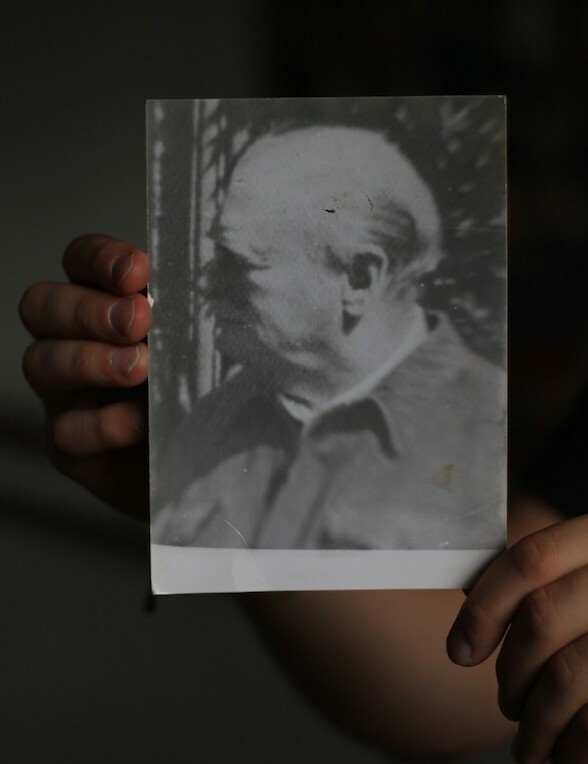 His remains were only returned to the village after the collapse of Communism (Hoxha seems to have been particularly vindictive when it came to people’s remains; he had the British war graves in Tirana destroyed in the late 1940s). 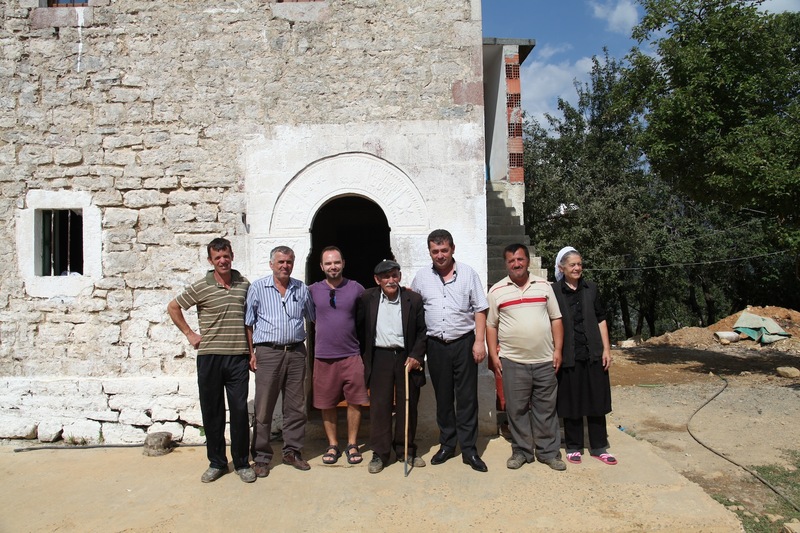 After lunch we went for a tour of Macukull, which like many Albanian villages is spread out over a huge area. We stopped in the grimy café for a coffee (and raki). We were reminded how raw the wounds caused by the war still are – the café owner got quite morose about life under the Communists and asked me why the hell we (the British) hadn’t just landed a couple of thousand troops in 1944 and prevented Hoxha grabbing power; and while we were on the subject what had we been doing arming the Communists anyway? Fair enough questions. 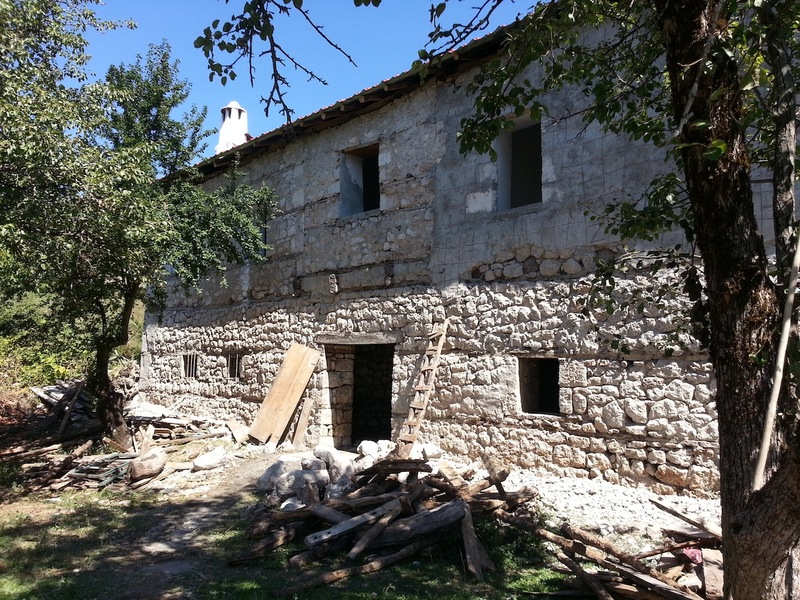 The rest of out tour had little relevance to war history, but we did find a few beautiful old stone houses in the process of collapsing – Macukull’s population, around 4,000 20 years ago, has fallen to 1,300 today. And we found more raki, inevitably (one of the pitfalls of visiting Albanian villages is that everyone, but everyone, wants to invite you in for a coffee and raki). We’ll be heading back to Macukull in the next few weeks, but in the meantime you might like to check out this gallery of photographs on the popular ‘social networking’ website Facebook. I overnighted in Elbasan, a rather bizarre town that I like a lot if only for its well-attended giro each evening (if you’re not familiar with the giro concept, basically everyone walks up and down the main street at sunset and says hello to one another). An early start and a particularly dicey furgon (minibus) got me to Xibrake nice and early, and off I strode – along totally the wrong path, I would discover shortly. 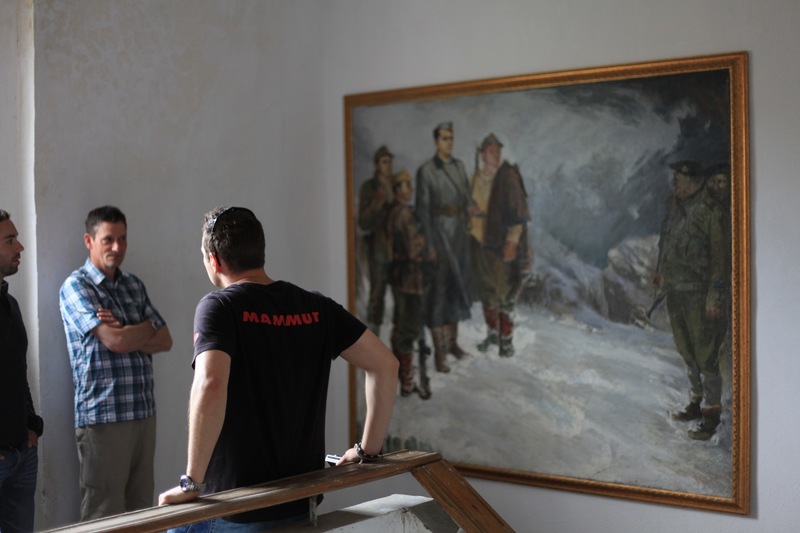 The walk to Labinot was uneventful, and I arrived at the outskirts of the village with the clichéd spring in my step and pressed on to the prominent house which had been Enver Hoxha’s on-and-off HQ (now a museum that doesn’t open). Albanian villages, I should mention, are very spread out. I found myself on one side of a valley. On the other was Hoxha’s HQ. I could see what looked like a well maintained path between me and it. The sun was shining. All was good. Until about 300 yards short of the HQ, when the path ended abruptly. No matter, I thought, I’ll cut through the garden blocking my route, smiling inanely at the wizened peasant who no doubt owns it and who would probably invite me in and fill me with raki as soon as I mentioned the words ‘General Davies’ (as he’s known in these parts). Unfortunately the wizened peasant wasn’t at home. His dogs, however, were. I love dogs. But not Albanian dogs, with the exception of the huge Šarplaninac (Illyrian Sheep Dog). When confronted with a lanky Englishman the Šar, which will happily take on a wolf or bear, will just shrug its shoulders and get on with its core business of guarding sheep or goats. The 98 per cent of Albanian dogs that aren’t Šar, sadly, love nothing better than to sink their teeth into English flesh. They are partisan; Šar are Balli. There were three of them, and they were small snarly well-beaten brutes not Šar. 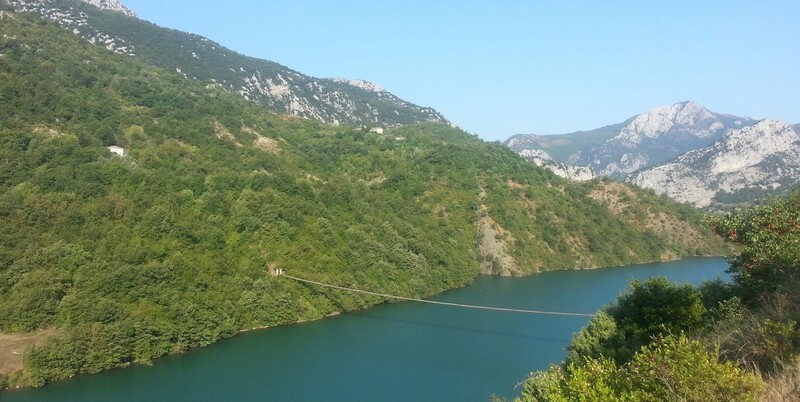 Due to an oversight on my part I didn’t have a big stick with me (an essential accessory for trekking in Albania). I pretended to have a stone ready to throw, which bought me time, but was quickly surrounded and bitten. 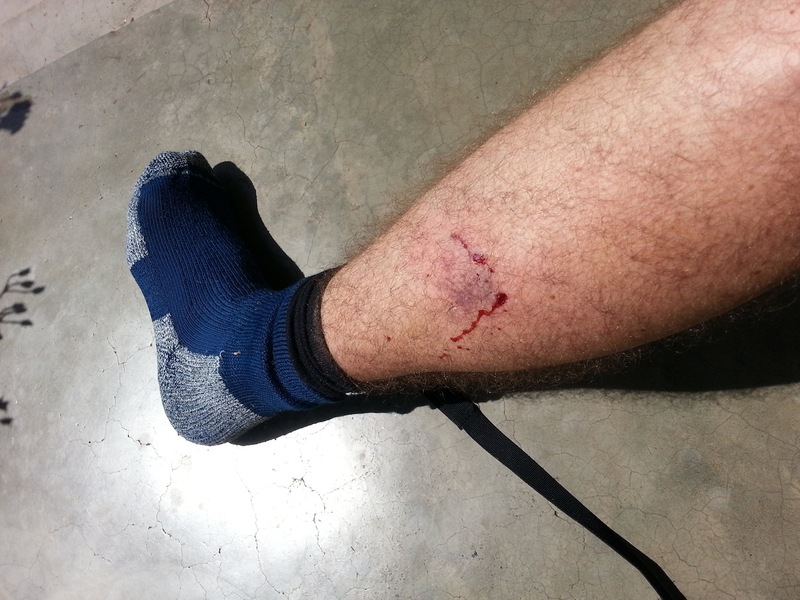 Don’t pass this on to the Albanian Dog Lovers’ Association, but I kicked hard and I think effectively. I managed to pick up a few stones and threw them, satisfyingly accurately. The dogs were held at bay and I was able to beat a retreat to the next garden, where I immediately met one of the sweetest families I’ve encountered so far. They were obviously a bit surprised to have a random trekker bleeding over their vegetable patch, but quickly recovered from the shock and sat me down on their balcony. Raki was produced, but to clean the wound rather than drink, to my disappointment. The man of the house, Agim, insisted on giving me a clean T-shirt to wear, while his wife produced an impromptu feast. 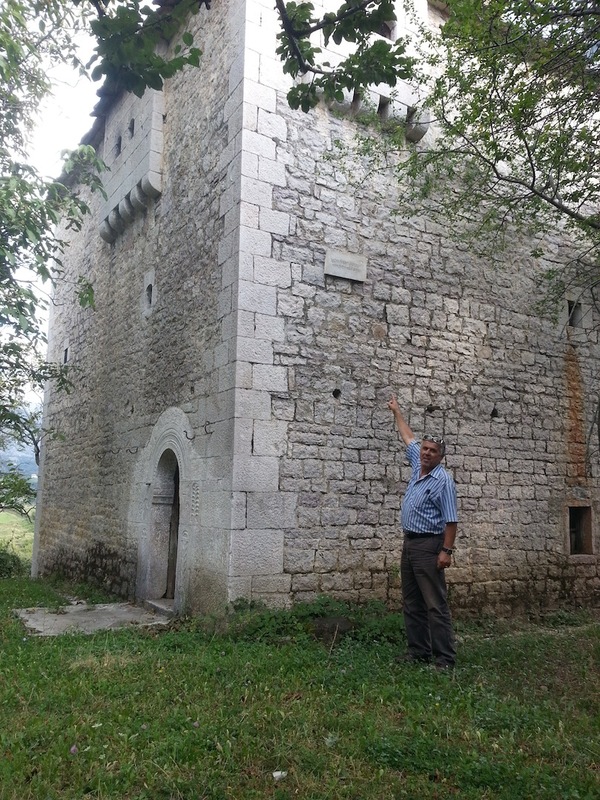 A phone call to Elton Caushi of Albanian Trip established my credentials and the purpose of my visit, and Agim, on hearing of our previous failed attempt to get into the museum, walked me up and tackled the mad woman who holds the keys and refuses access. No joy; she’s an immovable object. The words ‘Rruga Enver Hoxha’ were bandied about and Agim and his wife walked me down a path and pointed me in what they insisted was the right direction. After profuse thanks I set off. But soon heard shouting – apparently I was going the wrong way. The two of them, who were both well into their sixties and wearing completely unsuitable footwear, then insisted on walking me to Xibrake along the route Davies and Hoxa took back in December 1943 – an ancient and neglected mule path. Never in a million years would I have found it by myself. Two hours later we were in Xibrake, where they waved me off. I tried to give them some money but they refused point blank. It must have taken them three hours to get home, as Xibrake to Labinot is a steep uphill trek. 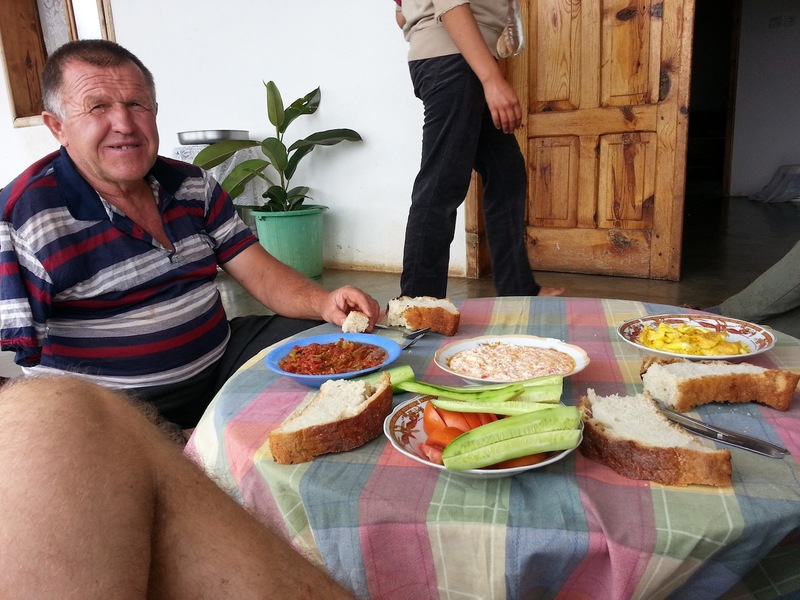 I hope this gives you an idea of Albanian hospitality – and in my experience, this story is fairly typical. If you’re wondering if it’s a welcoming destination for tourists, the answer I’d suggest is yes. There are more photos for your delectation at the S.O.E. Trails Facebook page. After another night without shelter in sub-zero temperatures, Brigadier “Trotsky” Davies and his men are in very bad shape. Dawn breaks and the mission’s Albanian guides recognise their mountainside location – the village of Okshtun is visible in the distance. At 07.00 they begin the slow march, arriving at Okshtun around midday. By this time Davies’ second-in-command, Lt Col Arthur Nicholls, is clearly in need of rest and ideally medical attention – his toes are badly frostbitten. It is decided that the British will remain at Okshtun for a few days, while the Albanian contingent, including Enver Hoxha, head to the remote village of Kostenje. The mission is to spend an entire week hidden in one room, subsisting on a diet of beans and cornbread. All members of the party have colds, and there is no reading matter. There is just one window, with no glass, through which the wind howls. News arrives that the villages of Martanesh and Orenje, where the mission sheltered previously, have been burned by the Germans. Despite this, the owners of the house show as much hospitality as their poverty allows. Corporal Smith, Davies’ bodyguard, spends three days complaining about what he thinks is a fractured vertebrae. When he finally allows Davies to inspect it, it turns out to be an infected boil. Davies cuts it out, with Nicholls acting as nurse. On Monday 3 January three armed men enter the house, and leave quickly after finding Davies and the mission. Within 10 minutes, Davies and his mission are back in the hills. They arrive at the pre-agreed rendezvous of Kostenje at nightfall, and to their joy are reunited with Captains Alan Hare and Jim Chesshire, and Sergeant Chisolm. Home is a draughty sheepfold. The weather is getting much worse, and a blizzard sets in. 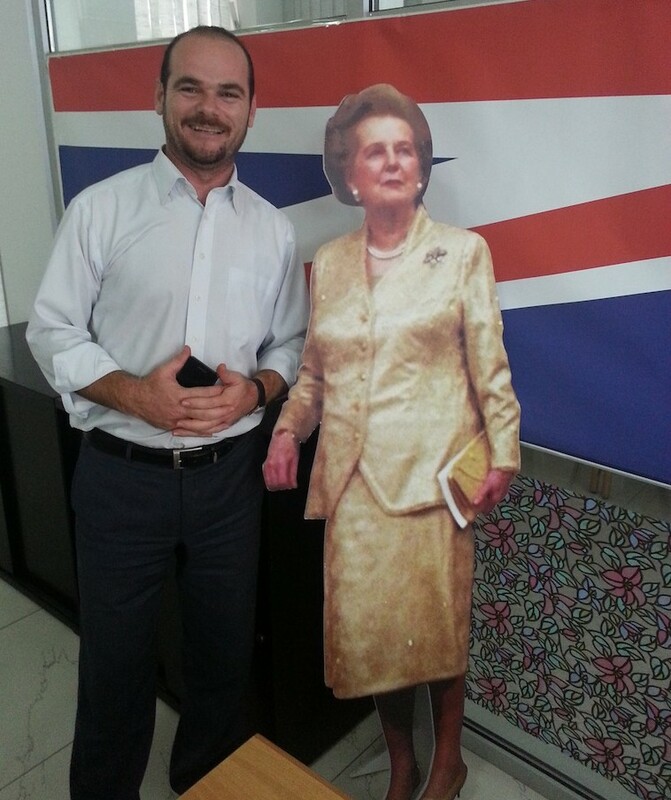 After a few days Davies has a row with the partisan leader Baba Faja, and insists on better quarters. Baba Faja’s own house is filled with food – the British have to beg, borrow and steal what they can. On Friday 7 Jan the mission’s translator (and spy for Enver Hoxha) tells Davies that the current situation is all his fault, apparently as he had failed to have the nationalist Balli Kombetar group denounced by the BBC. A few hours after this baffling statement, Enver Hoxha arrives to say that he is moving on with the partisan leadership, and will send for the British in a few days. He is all charm. Nicholls’ feet have turned septic. Davies asks Hoxha to send medical aid as soon as he can. 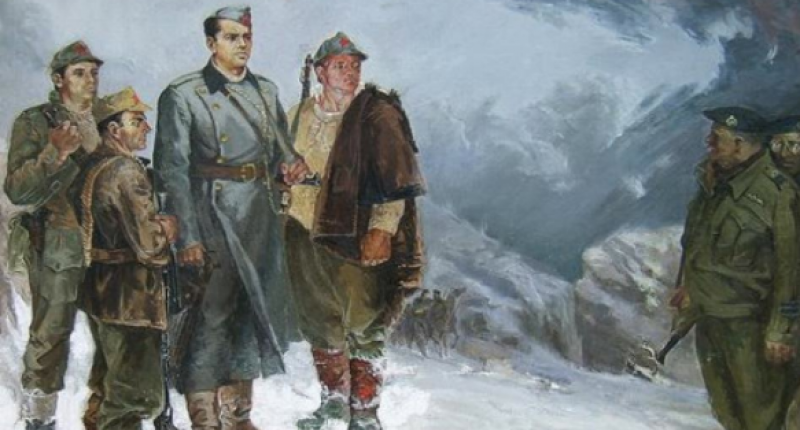 Early in the morning of Monday 20 December 1943 Brigadier ‘Trotsky’ Davies and his SPILLWAY mission find themselves hiding in a freezing forest near the Bizë plateau in central Albania, with Enver Hoxha and several hundred partisans. Sleep is impossible. At dawn Captain Jim Chesshire and the partisan leader Kadri Hoxha (no relation to Enver) are sent to find Captain Alan Hare and Sergeant Chisolm, who are leading the mission’s mule train. The waifs and strays are gathered by around 16.00 – the mule column is following close behind. At 19.00 a partisan arrives to say a German column has passed close by. With horror, Davies realises the ‘Germans’ must have been the mule column, with all the mission’s food, clothing and bedding. Enver Hoxha hides the more elderly members of the LNC ruling council in a nearby cave. The picture he paints in his memoir, The Anglo-American Threat to Albania, is of a a cosy cavern with fireplace and warm beds. The reality is quite different (I’ve been into the cave, and will blog about it on another occasion). Meanwhile, from the hills above Orenje, Kadri Hoxha watches the Germans burn Sulieman Balla’s house, where the British had sheltered previously. Tuesday is cold and wet. The only food is a dish of beans at 12.00 and at 15.00 a plate of maize flower and water. Davies, after much argument, persuades Enver Hoxha to move south with a skeleton party of no more than 15. Of the British, Davies selects Lt Col Arthur Nicholls and Corporal Smith to accompany him. On Wednesday morning Davies, Nicholls and Smith say goodbye to Captains Jim Chesshire and Alan Hare, and sergeants Melrose and Chisolm, who will be left to evade the Germans as best they can. Enver Hoxha has decided to bring 35 men, rather than the agreed 15. After two hours march Kadri Hoxha is sent on ahead to find the Bektashi priest and partisan leader Baba Faja. They are very high up and can’t light fires in case they’re spotted. It begins to rain. Kadri Hoxha fails to return before nightfall. The three British have just five chocolate squares each. A miserable night in the open is endured. Around 09.00 on Thursday morning Kadri Hoxha arrives with a sheep, bread and cheese. A fire is lit and the sheep cooked. They move at 14.00, climbing steadily. There is deep snow, and they are soon lost. Camp is made at 21.00. At one point a partisan drops a grenade into the fire. Early on Friday morning Kadri Hoxha sets off by himself to find the trail. He returns at 08.30, and by 14.00 the freezing-cold party arrive at the village of Okshtun. They are served a delicious meal of chicken with nut sauce and dry out their sodden clothes. It is Christmas Eve. News arrives that the Germans are camping 2km behind them. The British rise at 03.00 on Christmas morning, but have to wait for the Albanians, who are finally ready to move at 06.30. 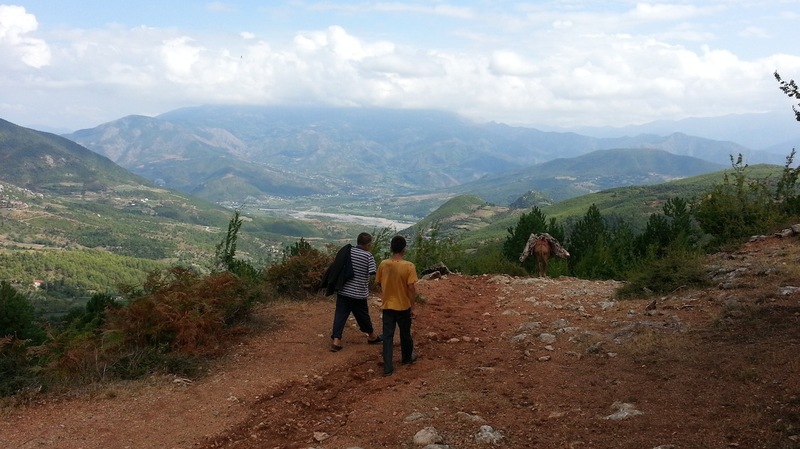 They make a long, steep climb over the mountains to the east till they reach a ridge overlooking the village of Fushe-Studën. By now Davies’ boots have disintegrated – their host the previous night placed them too close to the fire to dry out. Despite British misgivings about passing through a village, they cross the plain at Fushe-Studën and start climbing the hills on the other side. About halfway up they come under fire. The leave the track and scramble up the mountainside. At dusk they find themselves above the village of Khorishte, and spend a freezing night in each others’ arms. Early on Sunday morning Kadri Hoxha returns from Khorishte to say that no villagers dare take them in. Davies tells Enver Hoxha that he will head south with just Fred Nosi, the mission’s translator. Hoxha angrily refuses and says they have to head back the way they came. Soon they are lost. Corporal Smith’s boots have lost most of both soles. At dusk they re-cross the Librazhd-Dibra road and find themselves climbing a mountain in the dark. At 21.00, close to the summit, the guides announce they are lost once more. The miserable group makes camp; the temperature is well below freezing. There is a gel frost and their clothes are stiff as boards. Brigadier ‘Trotsky’ Davies and Lt Col Arthur Nicholls, still at the village of Labinot after their unsuccessful attempt to break through German encirclement, kick off Monday 13 December 1943 with a louse hunt. Enver Hoxha tells them a fresh attempt to move will be made at noon on Tuesday. Davies sends a messenger to the rest of the mission, hidden at nearby Orenje. However, acting on earlier orders they arrive at 15.00 anyway. Two brown horses, captured from the Germans, are given to Davies and Nicholls, Hoxha receives a pair of brown field boots. Tuesday is a fine but cold day. Departure is delayed – it seems till Thursday. Davies spends much of the day speaking with Enver Hoxha. He naively asks if Hoxha is a communist. 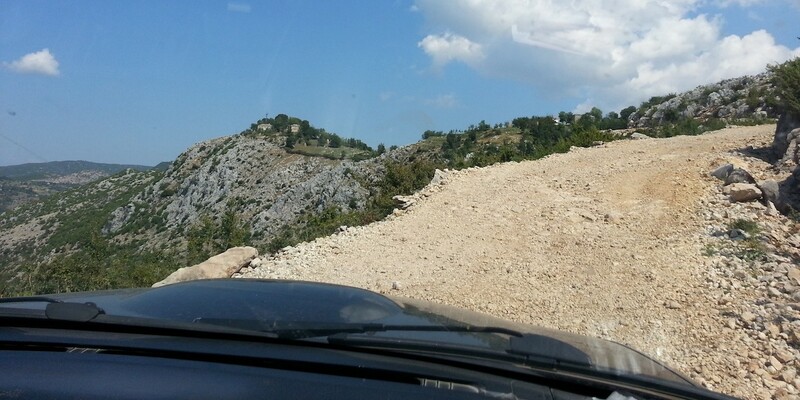 Heavy fighting can be heard from the nearby Librazhd-Elbasan road. On Wednesday Hoxha makes the decision to return to Orenje for a few days before making a fresh attempt to head south. The move is made early on Thursday morning. When the mission arrives at the house of Sulieman Balla, they discover an RAF sortie has made it through. They are desperate for warm clothing and food, but the drop is almost exclusively explosives and personal mail and magazines for the British, plus 7,500 gold sovereigns. The local partisan leader Kadri Hoxha flies into a rage, and says he’ll refuse to accept the explosives. Davies learns from Kadri that the local partisan units have dispersed; there is nothing between the mission and the Germans. The sovereigns are dumped in a latrine (they are retrieved the following April). After a sleepless night, the British stand-to at 05.30. Davies sends out patrols. The day turns out to be sunny, but ferociously cold. A young Albanian doctor tells the British their are 24 sick and six seriously wounded partisans to be cared for. At some point, Davies sends a cable to the Special Operations Executive HQ in Cairo, recommending a change in policy. He says full support should be given to Enver Hoxha’s partisans, and the nationalist forces of the Balli Kombetar and the Zogists should be denounced as collaborators. He supplies a list of names for the pillory including Abas Kupi and Lef Nosi. This is the last signal Cairo will receive from Davies. At 02.00 on the morning of Sunday 18 December, Davies is woken and told that the Germans are approaching. At 09.30 a German spotter plane drops leaflets over the houses the mission is occupying, calling on the Italian element to surrender and promising them safe conduct. 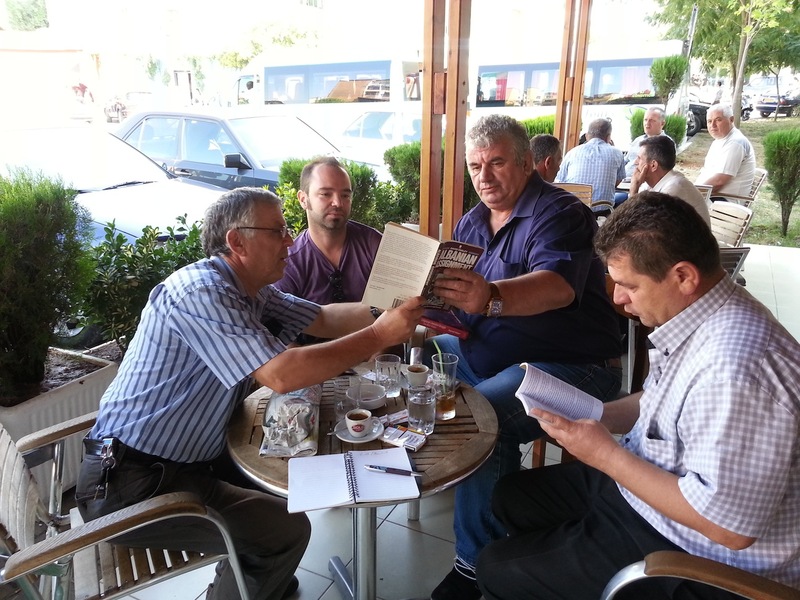 At 11.00 Kadri Hoxha arrives and advises Davies to join the LNC Council at nearby Qurakuq. Davies leaves, and a few hours later the LNC Council arrives; a messenger is sent to bring Davies back. By now Germans trucks can be heard. The mission, with Enver Hoxha and the LNC leadership, leave Orenje and march seven hours to a wood behind Bizë, where the British originally parachuted in. They can hear RAF planes overhead, but have to signal them to abort as they can’t receive supplies. Cairo sends Davies a signal in response to his recent cable to the King, congratulating him on his birthday – ‘Could you convey His Majesty’s sincere thanks to Trotsky and those under his command for their kind birthday message’ – but he never receives it (National Archives, HS5/67). The British Military Mission to Albania wakes up on the morning of Monday 6 December 1943 to the sound of a German Storch spotter plane circling overhead. 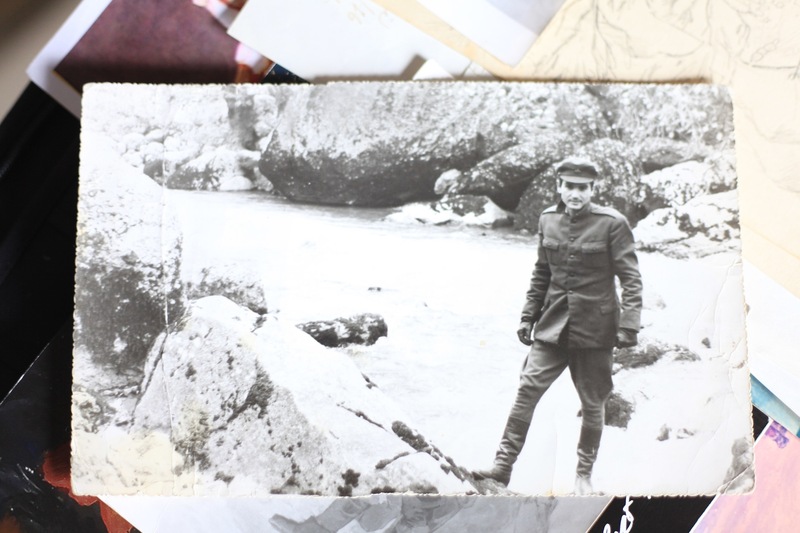 The mood doesn’t improve when news arrives that the mission’s cook, Korca, who had been captured by the Germans, has been moved from prison to a hotel in Elbasan. At 10.30am on Tuesday Colonel Barbacinto of the Italian Army arrives, and offers his services. His commanding officer, General Azzi, has taken 1,000 gold sovereigns from the British to feed his troops, and has holed up in a remote village; Barbacinto refused to accompany him. Davies can see no use for Barbacinto so sends him to join an Italian contingent hiding nearby. The partisan leader Kadri Hoxha arrives and explains that the Bairam festival has started, which will mean much gunfire as people celebrate. He demands more ammunition. An RAF sortie is expected that night, but fails to arrive. Thursday is spent waiting for Enver Hoxha to send word that a move to the south is safe. Full moon is approaching; Davies suspects the move has been left too late. On Friday Hoxha sends a note telling the British to be ready to move. At 11.30am on Saturday 11 December, the first section of the mission moves to Labinot. Translator Fred Nosi hasn’t employed a guide, they get lost and arrive at 19.30 to find a huge bonfire surrounded by partisans singing revolutionary songs. 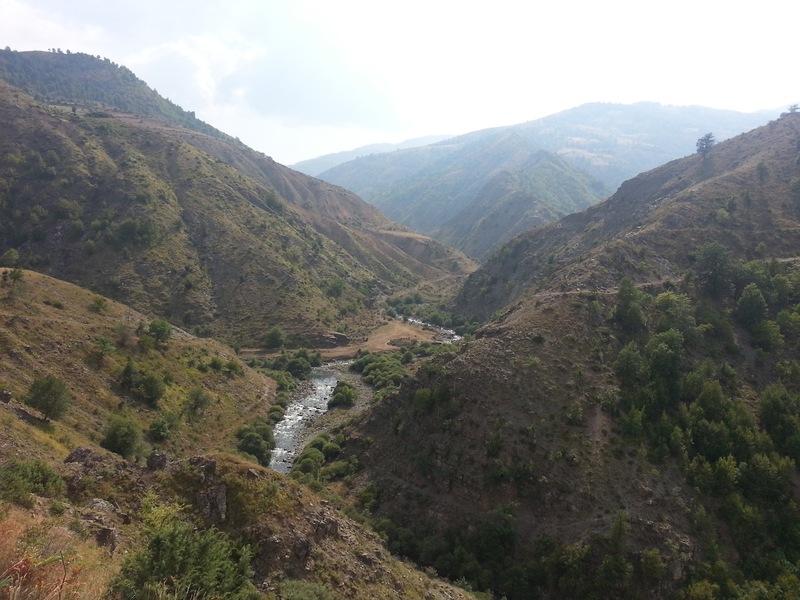 At 20.30 they move on to attempt to cross the Elbasan-Librazhd road and then the Skhumbini river. The attempt is a failure, the British and partisans are forced to return to Labinot at 03.00am, arriving at 07.00am. 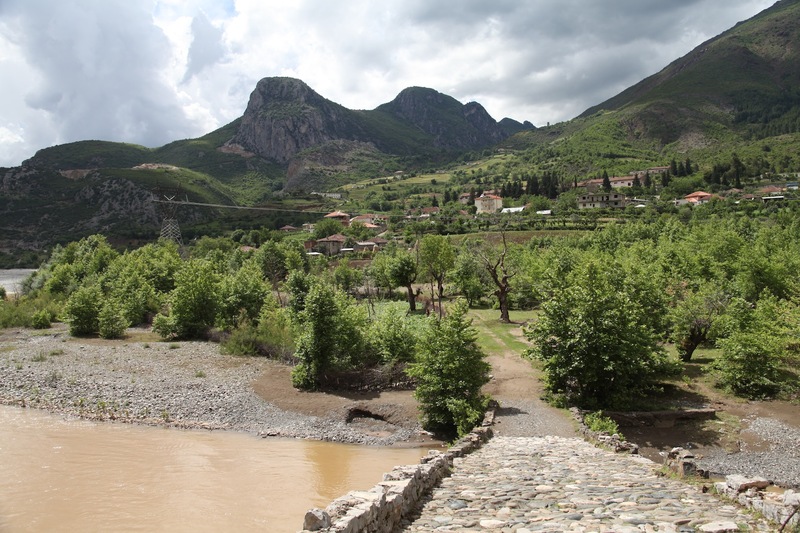 Kadri Hoxha had failed to scout the river properly – it is too deep to cross due to the recent rain. He has also attacked local villages, drawing in Balli Kombetar forces. Enver Hoxha is still angry when he writes his memoirs in the 1970s (Kadri Hoxha spent 40 years in prison after the war on trumped-up charges). Gunfire can be heard throughout the day. Enver Hoxha arrives at 17.00 and is suitably contrite. He joins the British for a meal, and is unusually relaxed in their company. Much raki is drunk, and one of the Italian soldiers sings opera arias. On the morning of Monday 29 December, Brigadier ‘Trotsky’ Davies’ SPILLWAY mission wakes to warm sunshine. Davies decides to move the mission to the village of Xiber, in the territory of the Zogist leader Abas Kupi, in the belief that it is easier for the RAF to drop supplies there than the mountains of the Çermenika. Davies is about to leave for Xiber on Tuesday morning when he is called to the house of the partisan leader Baba Faja, who tells him that he won’t let the mission leave as Kupi is close to the Balli Kombetar, who are collaborating with the Germans. A two-hour argument ensues. Davies, with his translator Fred Nosi, heads to Shengjergj to take the matter up with Enver Hoxha. A meeting is agreed for 1st December. Hoxha and the LNC Council arrive at Martanesh at 10.30, and stay for lunch. They tell Davies that the mission is surrounded by German forces, and there is a huge bounty on Davies’ head. Hoxha produces a wounded partisan soldier who confirms that rumours of the death of Major Peter Kemp and Captain Tony Simcox in Dibra are true (they’re not). The partisan tells Davies that Kemp was ambushed at dawn and died in a fierce fire-fight. Major Alan Hare later tells Kemp that he knew the story couldn’t be true as Kemp would never be out of bed so early in the morning, and also Kemp’s temperamental Welgun would have jammed before he could fire a shot. On Thursday morning the mission is once again woken by gunfire – another wedding celebration. Lt Col Arthur Nicholls, unwell and in a bad emotional state, explodes with rage. Nosi tells Davies that Enver Hoxha and the LNC Council are heading south, and want the British to follow. Cairo reports that an RAF Halifax, with five Special Operations Executive officers on board, crashed on its way to Albania. At 05.30 on Friday, Davies and Nosi leave Martanesh for Orenje. Nicholls follows with the mission’s mule train a few hours later. Davies is told that the cook, Korca, has been captured by the Germans while shopping for food in Elbasan. Saturday is quiet. The mission is divided between Martanesh and Orenje. On Sunday Davies and Nicholls lead a de-lousing parade. Major Hare is suffering from worms. A sack of lemons arrives, so Sergeant Melrose makes pancakes for lunch. News arrives that Kemp and Simcox are very much alive. Davies decides he must get out of Albania and report in person to HQ in Cairo to explain the complexity of the political situation. The sky that night is crystal clear, but no RAF sortie arrives.